There are the really fun products- like lipstick, nail polish and blush- then there are the everyday, not all quite as interesting when you get right down to it type products. Dry shampoo is in the later category. It's defiantly a staple product, but how excited about it can you really get? 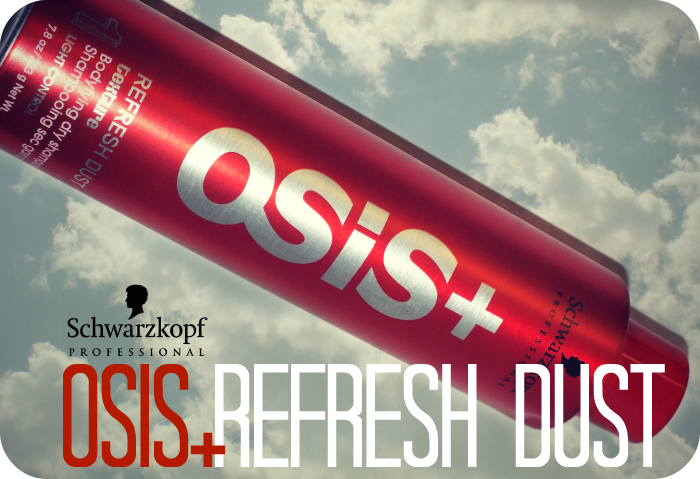 Well, you can get crazy excited if your dry shampoo happens to be Schwarzkopf Professional OSIS+ Refresh Dust. It's a game changer. 'OSiS+ Refresh Dust can be used either to refresh hair in between shampoos, or to instantly add more volume, grip and structure to hair before styling – making it a beauty essential for stylists and style-conscious women alike! 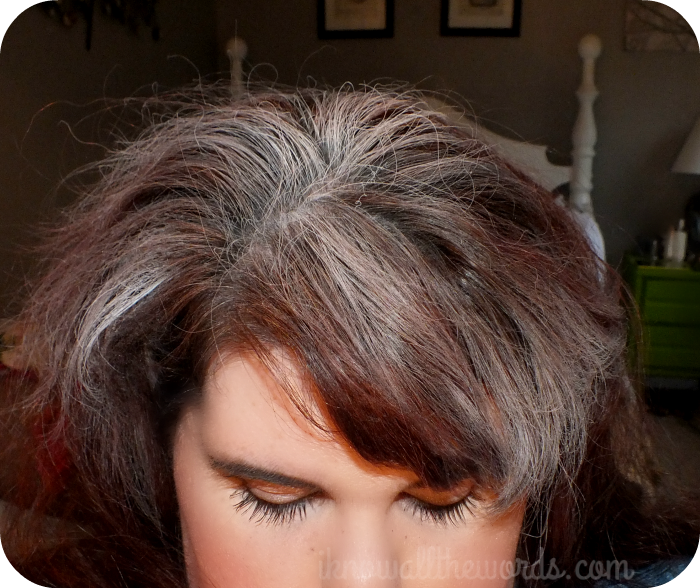 What I tend to look for most in a dry shampoo is something that will actually absorb oil and leave my hair looking like it's been washed. 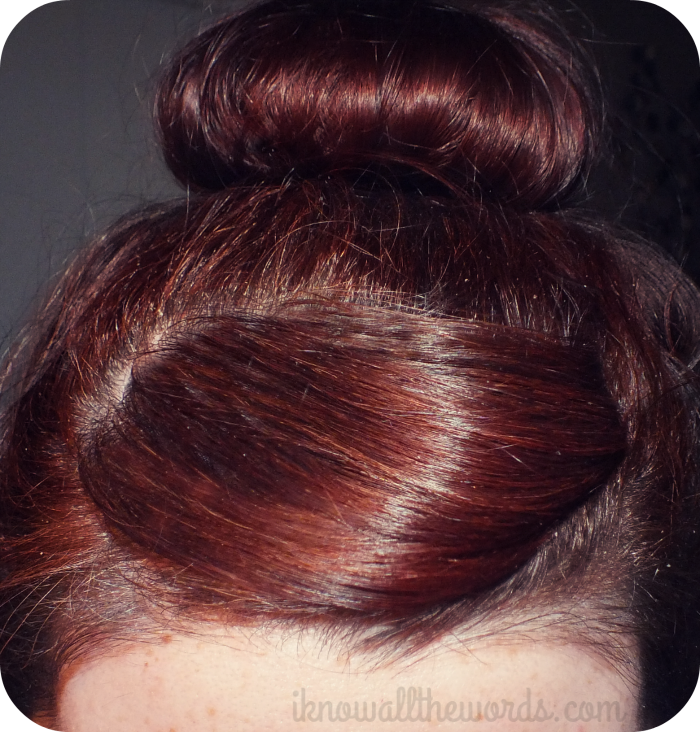 Secondly, something that doesn't leave my dark hair looking chalky and with a white cast. Not all dry shampoos are created equally and most do one thing well but not the other. Schwarzkopf does leave a light coloured film on hair- more on that in a moment- but it also absorbs oil incredibly well. But, that's not where it stops.... Volume. 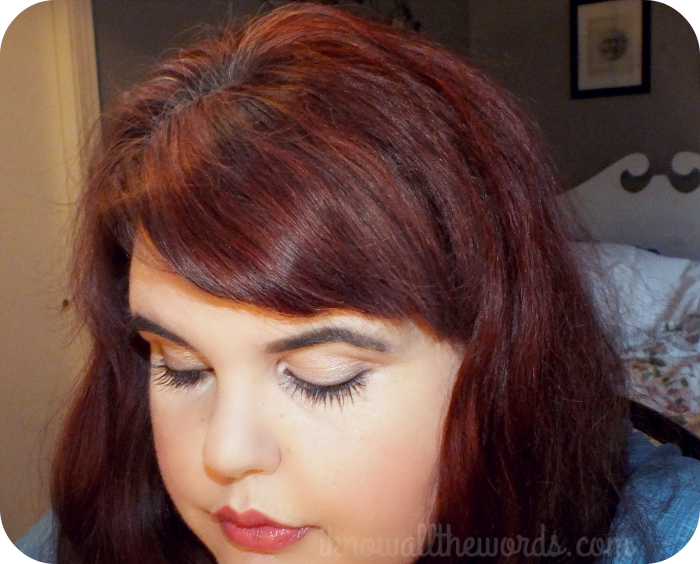 Let's talk volume! Before we get right into it, I'll give you a little rundown of what we have going on above. In the first photo you see my hair- in it's new Fall colour: Nice N' Easy Natural Light Auburn (dyed over dark brown, which is why it's not very light looking)- on the second/third day. I did it up on the second day, and eventually slept on it (photo taken prior to) leading me into day three. What I'm getting at, is that I was starting this process on third day hair. Normally, day three would be a shampoo day for me, as I can't leave my hair longer than that- even with dry shampoo- as I find my roots get too oily. After finagling my hair out of the bun I went to town with the dry shampoo. I find quite a lot comes out of the nozzle if you're not careful, so short bursts work best. This does leave a white cast on my hair- which, as you can see is fairly dark- but it does brush out remarkably well. I always find my hair has a lot of added volume through the root area/ upper part of my head after I've taken it out of a top know/bun but it rarely lasts long as the weight of my long hair brings it down. That's where the magic of this product comes in- it gives hair an amazing amount of volume! Like bigger than I could manage on freshly washed and blown out hair. I was pretty astounded to say the least. This also gives hair a bit of texture- not enough to look rough or anything- but enough to keep curl and volume looking fresh all day. When my hair did start to droop a little, a mere finger brush and a flip revived it right back to it's full wonder. 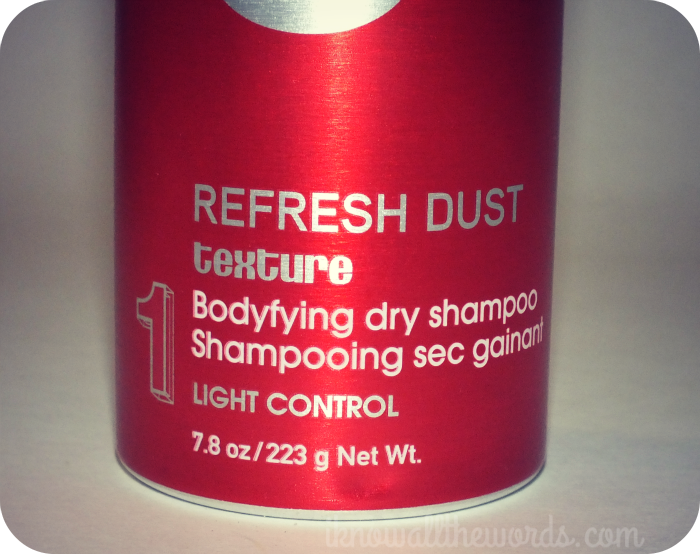 Overall, this really is an amazing product that is so much more than dry shampoo. I've taken to using a few sprays of this on my clean hair just to give more volume and light hold. 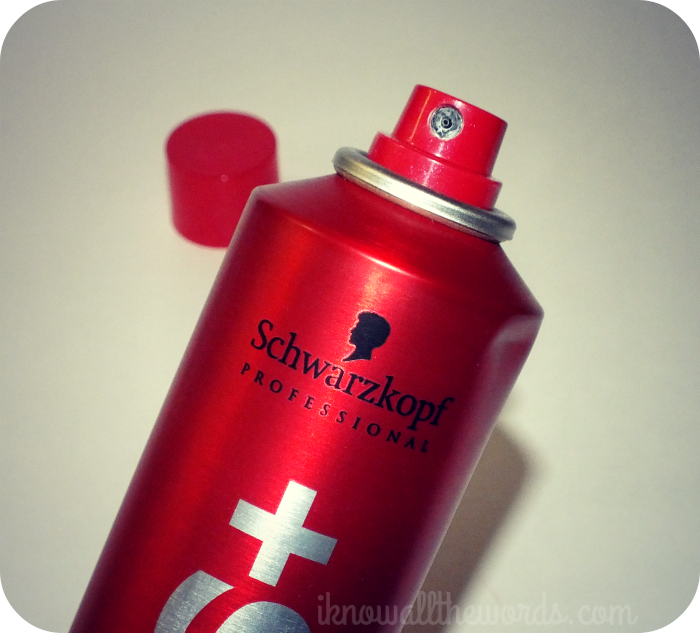 I can see why Schwarzkopf decided to release this in a bigger can- the can shown is triple the size of the regular can. The downside, is it's only available for a limited time. Can I get a whole case? Wait, better make it two. The 300ml size is available as of September 2013 exclusively at all Schwarzkopf Professional Partner salons. Have you tried this? 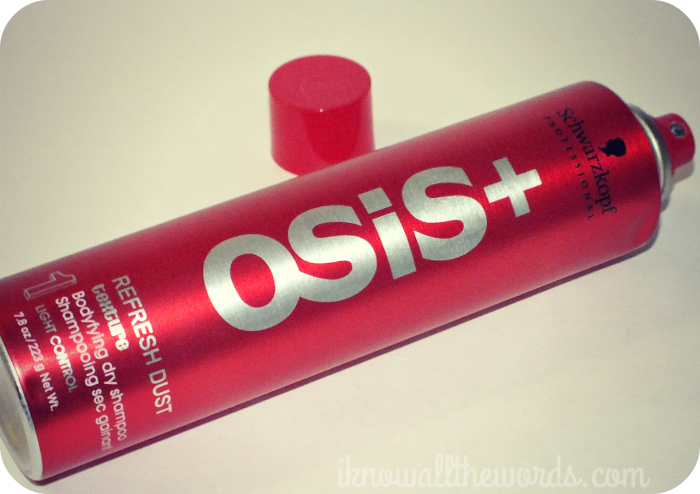 What's your favourite dry shampoo?